wow I'm impressed. I need to be this organized. 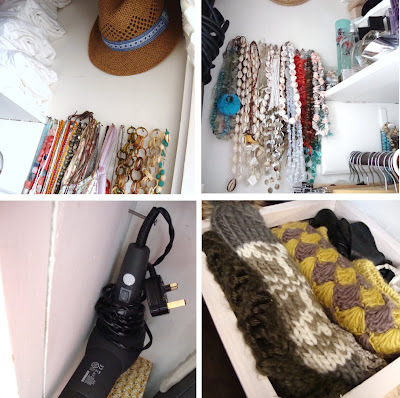 I love seeing how people organize their stuff and you've accomplished quite the feat fitting all that into such a small space. I'm so impressed! 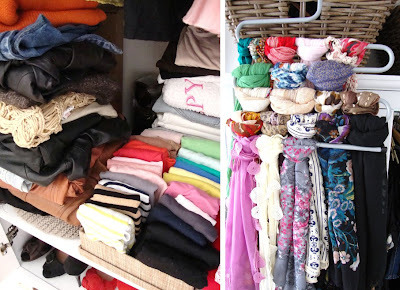 I did a post on how I organize my giant collection of clothes into my small closet. I use rolling wheel racks from IKEA and lots of bins and hanging things. WOW! you have amazing organisational skills, it makes me realise I should stop complaining about my lack of space, and use it effectively. I *cannot* believe how many items you are able to store in such a small space! I definitely need to be wiser about how I utilize my rather tiny room. 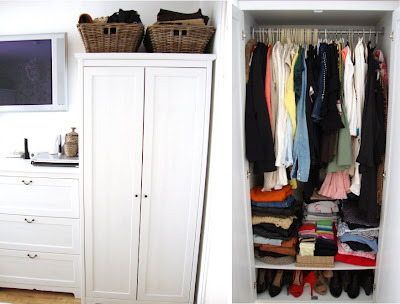 Muhsine - this is an amazing post - you are so tidy and organized!!! All the pictures are so helpful - you've given me lots of inspiration...we've recently moved and I have my own walk-in closet, but I'm having a hard time trying to figure out how to arrange everything neatly. How did you manage to make a storage post so interesting, loads of ideas there. Guess what I will be doing this weekend?! wow,i wish i could do the same at my house! !keep up the good work! ;)best wishes to the baby! Absolutely adore this post! 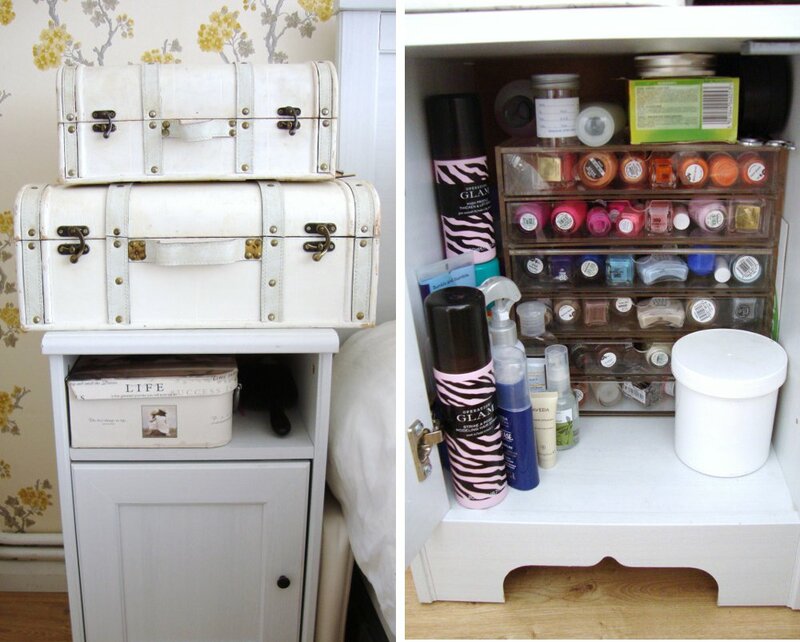 Having a massive clear out/organise of my whole house this weekend so need all the help and inspiration I can get! You are the organisation queen! This post is fab! Can't believe how much stuff you manage to store in one room! I would have never thought of the necklace idea... very good! Your room looks lovely, i love it! You are an organizational genius!! 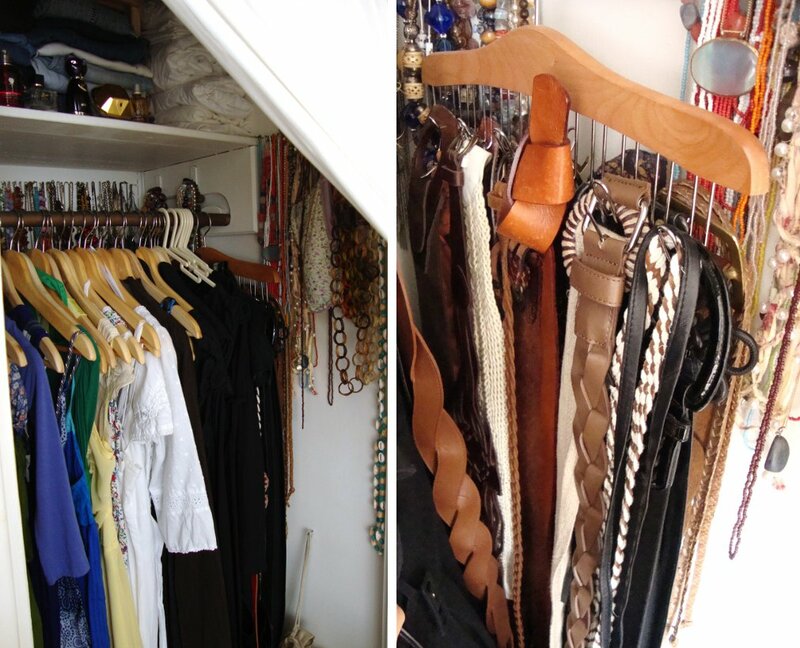 My fiance and I live in a small one bedroom flat, too...and it can be a challenge to keep myself from taking all the closet space, I must say. Thank you for the tips and inspiration to get our space organized and functional! wow this is impressive. great organizational tips! 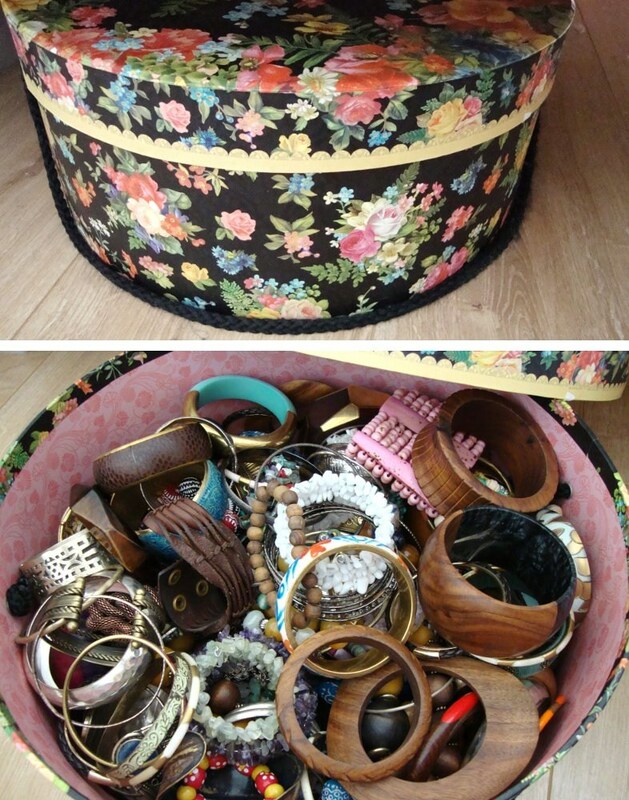 I love how you have all of your jewelry stored/displayed and using baskets is genius. 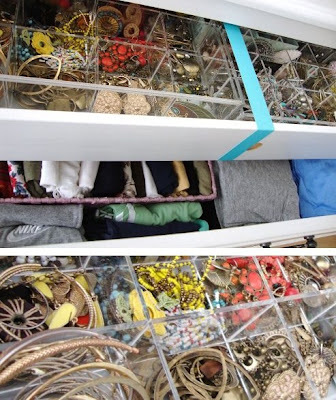 The under the bed bins are such a great idea! I'm totally stealing that! This is pretty impressive. I know exactly what you mean about space...I am the same with my other half in a 1 bed and we share the wardrobe. So glad we have managed to sell the flat and hopefully we can move out by xmas into a 2 bed! This is amazing. I'm inspired to make more of my apartment instead of waiting until I get a bigger place. Thanks for showing the peek of your necklace collection too. Completely gorgeous! Seriously impressed. 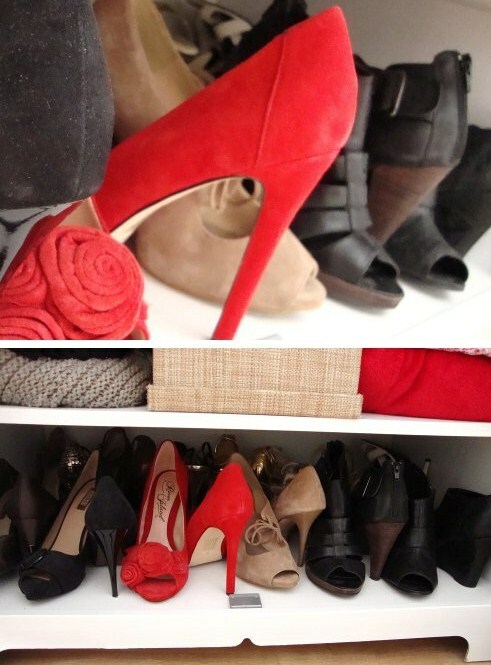 I need to get my small space organized! wow!bekledigim post gelmis,harikasin canim masallah yatak odamiz ayni sayilir seninki tam kare seklinde benimki L seklnde ve bu yuzden cok kullanissiz.benimde duvarda gomme dolabim var sen neguzel kapagini sokmussun,daha cok yer kalmis boylece. benim sokme ihtimalim yok kiraci oldugum icin,sanirim eviniz size ait. umarım türkçe biliyorsundur. blogunun sıkı takipcisiyim. bende 6 ay önce anne oldum. sana çok güzel bir doğum diliyorum umarım bebişin sağlıklı sıhhatli gelir dünyaya. If I was you I would get a plastic material wraped hangers than you would have more space, the wooden one takes so much space:-) xoxo grate organisation tho!!! 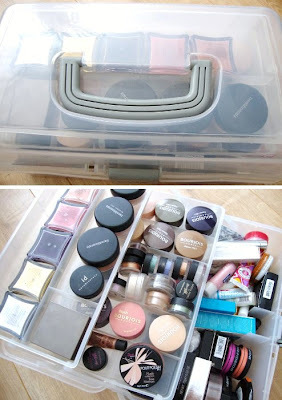 I thought I was organised but wow you are super organised and it looks soo good. Thanks for sharing I will be looking back to this post and getting tips for my space.